The Graduate Entrepreneurship Fund (GEF) scheme is the Bank’s first youth programme which was launched in October, 2015 and is implemented by the Bank in partnership with the National Youth Service Corps (NYSC) Directorate. This initiative is specifically targeted at youths undergoing the mandatory one (1) year national service programme. The aim is to change the job-seeking mindset of Nigerian youths to entrepreneurship and self-reliance by encouraging them to develop skills for self-employment and to contribute to the accelerated growth of the national economy. Hence the introduction of the Graduate Entrepreneurship Fund programme to address the worrisome phenomenon of unemployment and restiveness. To encourage graduates of tertiary institutions currently undergoing the compulsory one-year NYSC programme, to venture into business and become employers of labour rather than job-seekers. To deepen financial inclusion by de-risking the NYSC members and making them eligible for small business loans to be provided by BOI. Ensure sustainability of the business of the young graduates through effective monitoring of the corps members by the NYSC Directorate and BOI. To address the entrepreneurship capacity gap of the young NYSC members. Selection/screening of the NYSC members that will participate in the capacity building process through questionnaire to be administered on BOI online portal. 4 days intensive training on generating a business idea (value proposition), how to run a profitable business (Business Model) and basic financial record keeping. This will be done in collaboration with the NYSC Directorate and shall be facilitated by BOI’s partner Entrepreneurship Development Centers/Institutions in the 36 states of the federation, including the Federal Capital Territory (FCT). 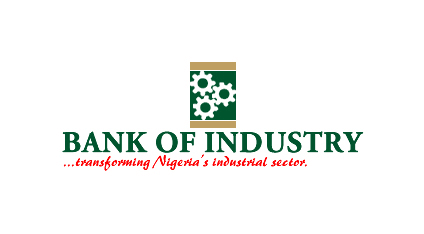 Financial support for those with bankable business ideas within BOI’s SME clusters. Rationale: The scheme is a special fund to encourage young Nigerian graduates of tertiary institutions who are currently serving under the NYSC programme to start up new businesses as well as expansion of existing ones. Projected Impact: The fund shall be deployed to support the establishment and/or expansion of an estimated 1,000 enterprises promoted by NYSC members across the country. The scheme is expected to create a minimum of 5,000 direct jobs and 25,000 indirect jobs annually, totaling 30,000 jobs. Program Limit: N2.0 billion in the first year. Pricing: Interest Rate: Nill (0%), effective from 1st May, 2017. Tenor: 3 – 5 years. Moratorium: Six months from date of Loan Disbursement. Specific charge over the equipment (present and future). Undertaking by the NYSC Directorate not to release the discharge certificate until the loan is liquidated. Senior Civil Servant (Level 7 and above). Bankers (not below the level of banking Officer) and must have been confirmed by current employer. Reputable entrepreneurs with on-going entities and registered business names. Senior Staff of reputable quoted Companies, International Oil Companies, Telecommunications Companies (GSM providers). Funding Structure: Purchase of assets for business: Machinery and equipment. Up to 100% of the investment need and or Working Capital: purchase of raw materials, operational cost, leases/ rentals of premises, renovation, insurance of assets and utility bill (for first three months of operation). Up to 50% of the working capital need. Term Loan: 50% advance payment to equipment suppliers and payment of the balance only after satisfactory delivery and installation of the equipment. RMD to issue a letter of undertaking for the payment of the balance. However, full cash payment can be made in advance where items of equipment are to be bought from the likes of Cash n Carry, Shoprite, Jumia etc. Working Capital: 50% of loan amount, to be disbursed after successful installation and testing of the equipment.